I recently listened to a great interview on EconTalk, where journalist Adam Davidson spoke about his experience as a technical advisor for the upcoming movie, The Big Short. On his first day on-set, Davidson was amazed that over 150 people were already working before ever having a full company meeting to strategize the process. Even more incredibly, many of these professionals had never worked together before. And yet, everything moved like clockwork. Davidson experienced first-hand a style of hiring and working known as the ‘Hollywood Model’. A bunch of specialists, usually freelancers, are pulled together to form a team, and each person is hired only for the length of their component of the project, ranging from a few days to over a year. The team disperses as rapidly as it formed. In his article for the New York Times, and an upcoming book, Davidson posits that the ‘Hollywood Model’ and the ‘Gig Model’ (used to describe very short-term jobs like Uber or TaskRabbit) will dominate the future of work. And this, for some, could be a very good thing. The traditional, corporate model of employment (join as a graduate, work for 40 years, retire, and get a gold watch) has been waning since the dawn of the twenty-first century. After that, younger people started job and career ‘hopping’. Many corporations no longer needed long-term positions, so what had been previously steady jobs were outsourced, while others were replaced by technology. In this world, the specialized freelancer is king, evidenced by the growing numbers of people who work as freelancers. So what are the benefits of freelancing for freelancers? While on set, the movie’s makeup designer told Davidson that zombie makeup (yes, making people look ‘undead’) was all the rage. People skilled in this particular area were in greater demand and, as a result, they earned greater pay. Makeup artists looking to build their repertoire started to expand into the ‘zombie area’. Freelancers can build their skillsets based on what’s trending. They can find a way to work within a niche that separates them from the pack. The Internet makes it a cinch to develop a niche and then find the right market. Freelancers can use their in-demand skills to negotiate higher pay. For example, at a large corporation, two analysts might perform the same job, but one analyst outperforms the other. In the corporate model, both analysts are likely paid the same, but as freelancers one might command far more. In short, freelancing favours the highly competent. As an employer, this means that you can ensure you get best bang for your employment buck too. Especially, Davidson points out, in a world like show-business where everyone rubs elbows, word gets around about who is reliable and who is likely to flame out. A good working reputation helps freelancers get more work, and find better projects. What are the benefits of hiring freelancers for employers? After doing some research, you can hire freelancers with good reputations for a single projects and judge his or her fit with your mission. You can even assign a test project, with little money down, to make sure he or she will be able to meet deliverables. For freelancers, a solid reputation is everything. And now you can find freelancers based on trusted references or online reviews. Sites like Elance.com and Freelancer.com provide client reviews of the independent contractors, so you can make selections based on how well a freelancer rates compared to others. Not only is hiring a long-term employee a bigger risk if he or she isn’t a fit, you also have to provide all supplies, software, and any necessary training. By choosing a freelancer, you can find someone who already has the skills, software, or access you may need. As I’ve written in my blog before, new managers should always start by managing freelancers. By letting the managers assess the success of projects over time, they can see how their own interactions with freelancers meets (or doesn’t meet) the objective. Are There Still Benefits of Permanent Employment? If freelancing is growing in market-share and can save money, what are the benefits of permanent employment? Should businesses be shopping all their work out to independent contractors? In a word: no. In the interview, Davidson points out the not-insignificant benefits that come with having permanent staff. Both companies and workers see and experience benefits from a permanent employment model. While pay for freelancers can move up and down based on current trends, businesses and permanent employees are shielded from these market signals. No matter what your staff excels in, a business is still paying a fixed rate. This shields the business from ballooning costs for services if one particular service (for example, zombie make-up design) suddenly experiences increased demand. Employees are also shielded from these market effects. If the market for their specialty (say, copywriting) bottoms out, permanently employed copywriters are not affected. They are equally unaffected if the cost for their work goes up. It’s possible that the permanent work structure we consider ‘normal’ was just an aberration of the twentieth century. As industrialization and commoditization increased throughout the 1900’s, a company’s main initiative was to produce for the lowest possible cost in order to compete. Now, in a market saturated with cheap goods, more companies are working towards creating greater value, differentiating themselves, and avoiding commoditization. To remain agile and ahead of competitors, companies need to work with more skilled people, and need more flexibility to hire contractors for limited assignments. Freelancers who strive for excellence, are reliable, and are better than average are set to benefit most from this scenario. Does your business currently utilize independent contractors? What projects do you find lend themselves best to freelancers? I’d love to hear your thoughts below or join the conversation via Twitter @cognology. 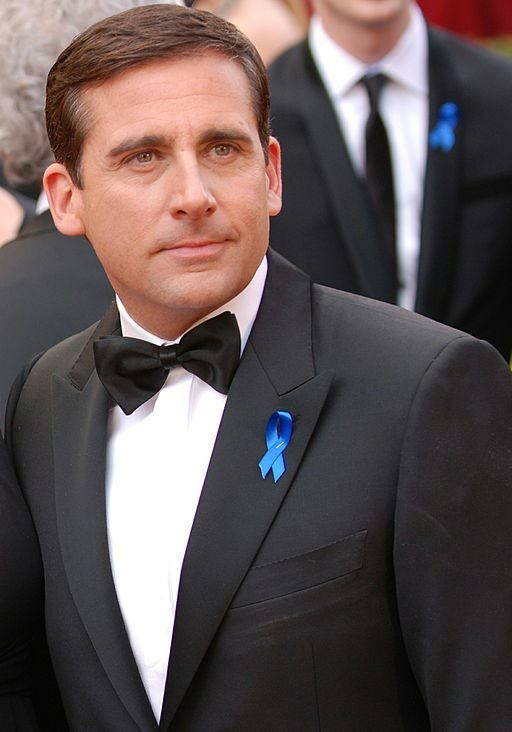 https://www.cognology.com.au/wp-content/uploads/2015/08/Steve_Carell_sml.jpg 210 210 Jon Windust https://www.cognology.com.au/wp-content/uploads/2017/01/Cognology-logo-colour-300x101.png Jon Windust2015-08-18 04:20:022018-08-27 11:06:23Are terms like ‘Hollywood’ and ‘Gig’ Spelling the End for the Traditional Employment Model? Should You Drop Performance Ratings?